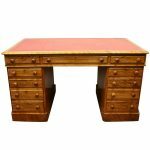 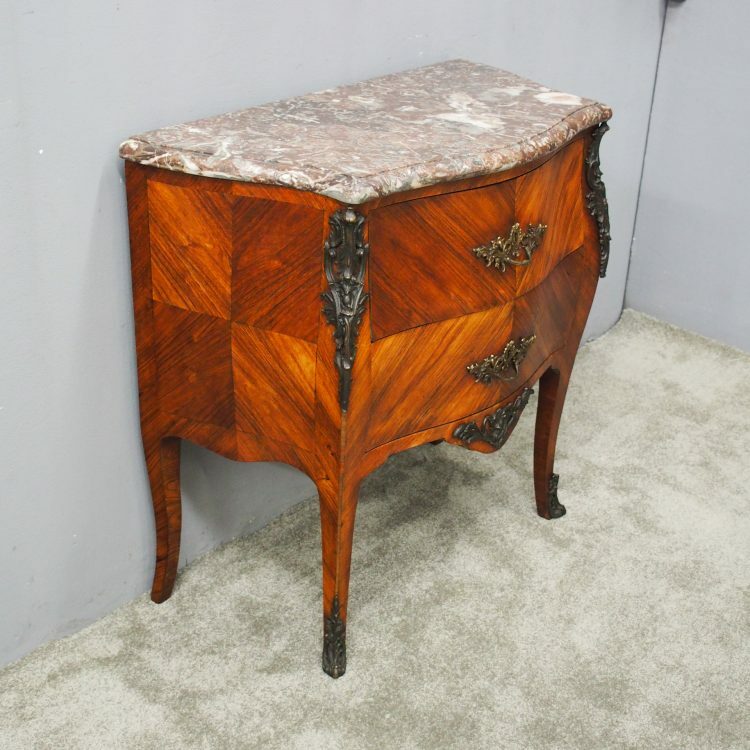 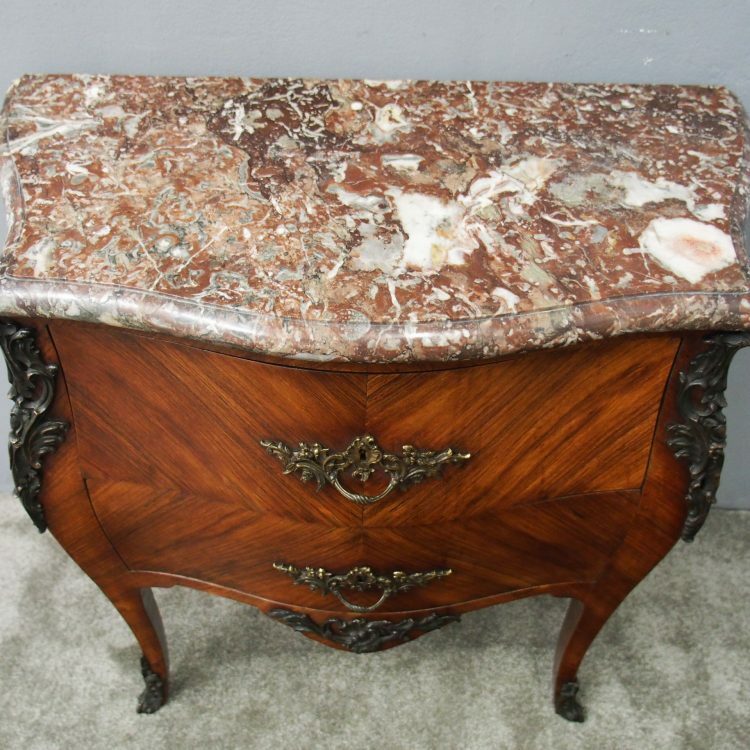 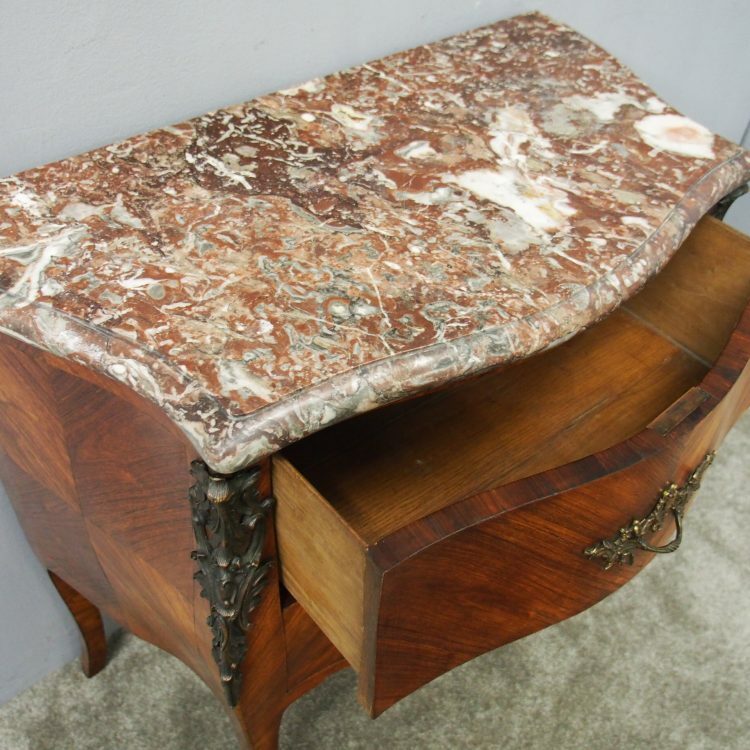 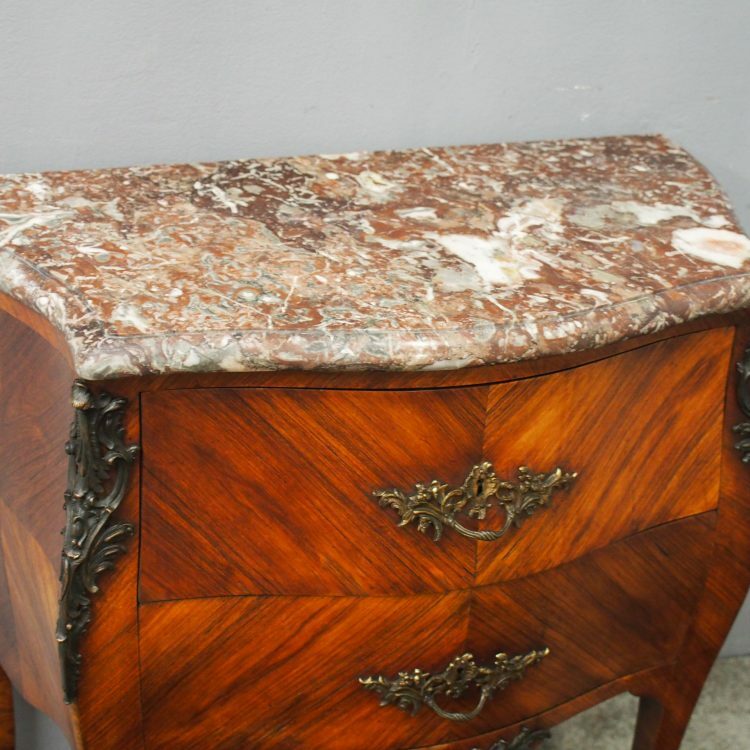 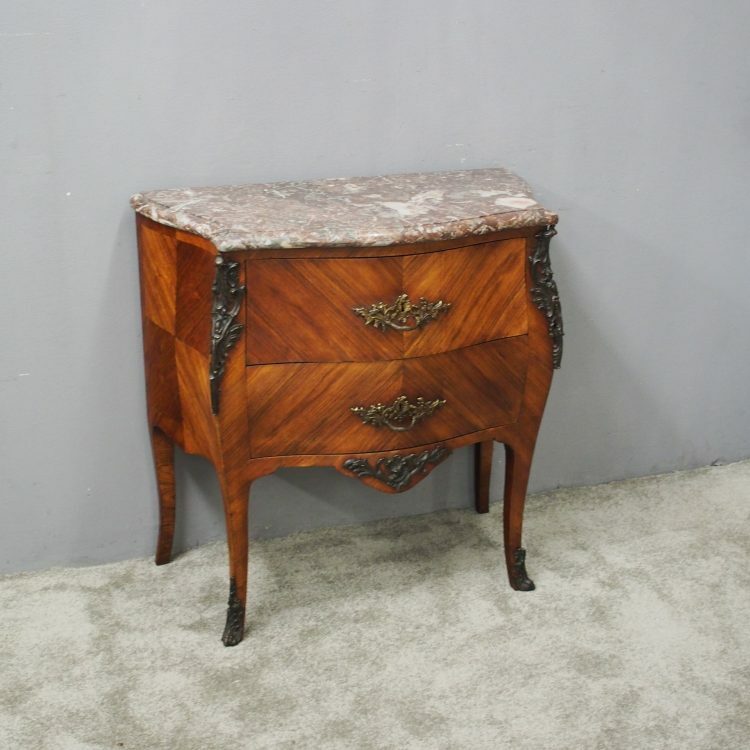 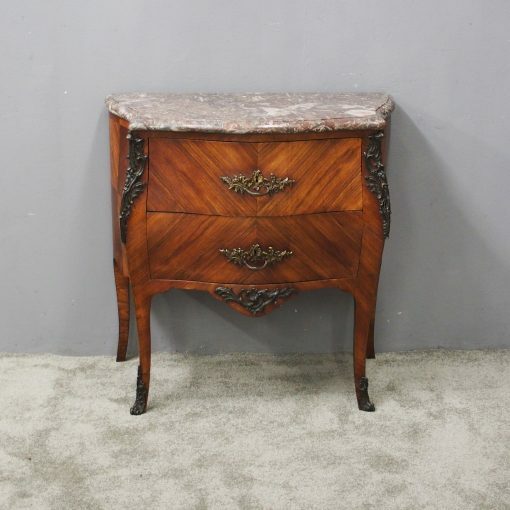 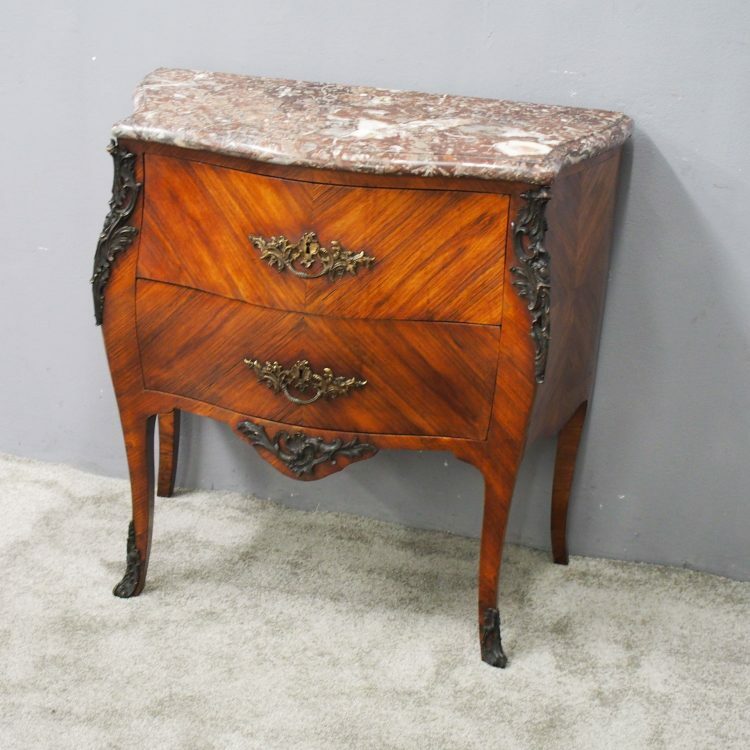 Circa 1860, French Kingwood marble top commode. 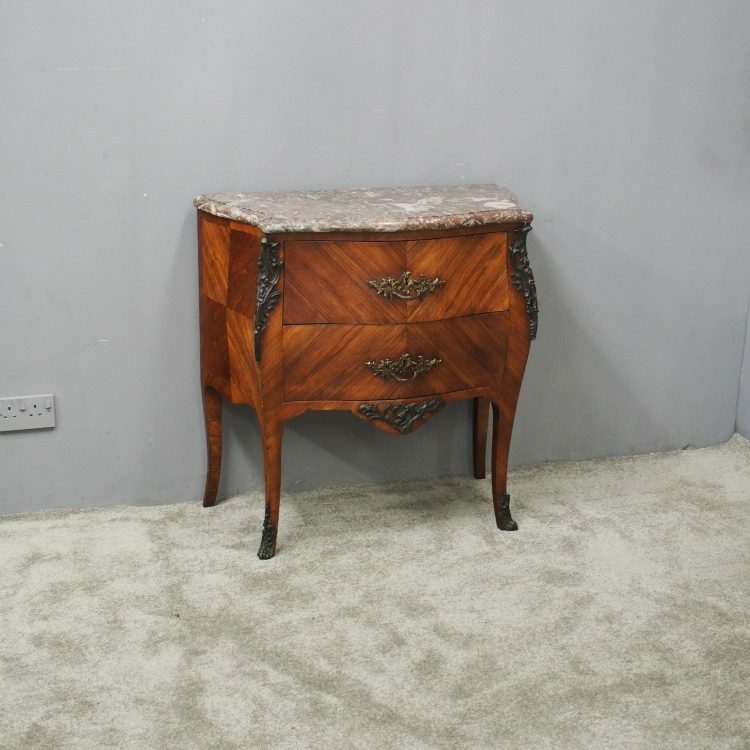 The serpentine fronted pink and white variegated thick marble top sits above two deep drawers in mirror matched kingwood and they have brass rococo handles and escutcheons. 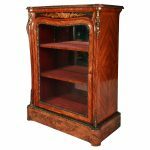 It has a shaped central apron with foliate bronze mounts, and quarter veneered gables. 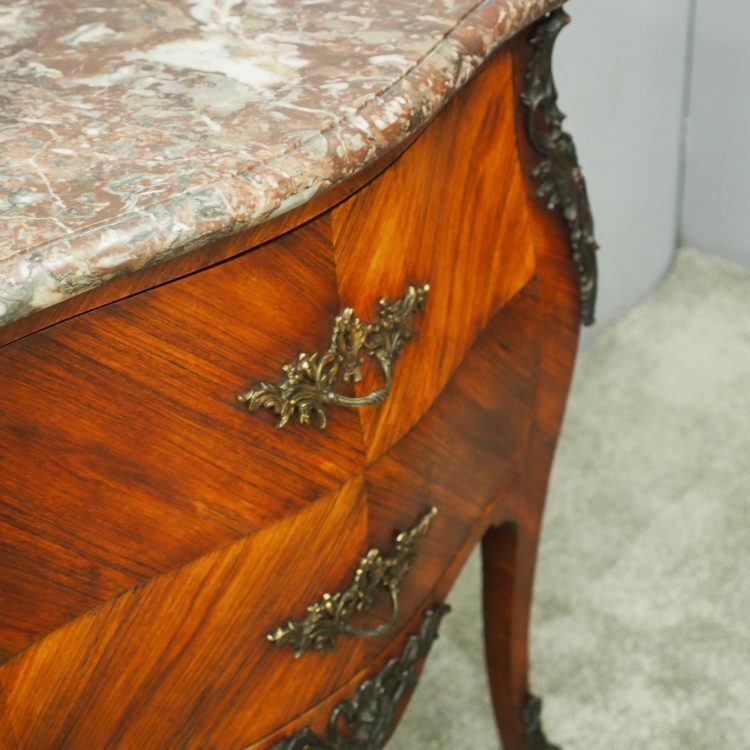 The canted, bronze-mounted corners extend down as cabriole supports with sabots.